Looking for a like-new luxury car at an affordable price near Napa? Then come to your certified Mercedes-Benz dealership in Fairfield to take advantage of our current lineup of CPO Mercedes-Benz vehicles, including a number of certified pre-owned vehicle specials. The Mercedes-Benz CPO Advantage includes manufacturer warranty coverage, a comprehensive inspection process, and new car financing rates. So check out our used Mercedes-Benz C-Class, E-Class, GLE SUVs, and more today, alongside the rest of the used Mercedes-Benz lineup! 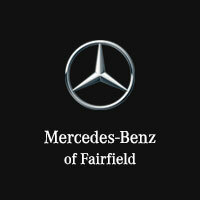 Each Certified Pre-Owned Mercedes-Benz vehicle for sale at Mercedes-Benz of Fairfield has undergone a meticulous inspection process by one of our certified Mercedes-Benz technicians, and we’ll be here at our Mercedes-Benz service center for all your Mercedes-Benz maintenance needs near Benicia. So value your trade online and then switch it out for a CPO luxury car at our dealership in Fairfield. We’re open every day, and you can reach us at (707) 430-0101.